Learn about several high profile celebrity deaths. Following is an overview of several recent celebrity deaths, actor Cory Monteith, Lee Thompson Young and Lisa Robin Kelley. In each overview, I’ll provide the details surrounding their death, the following investigation, and the official cause of death. The first on our overview of recent celebrity deaths is Cory Montheith. Cory was most well know for his portrayal of the good-natured jock with a heart of gold, Finn Hudson in Glee. Cory Monteith’s real life persona was no different. Known for his friendly good-natured personality, Cory was loved by his fans, co-stars and friends. However, he endured a troubling adolescent stage when he began experimenting with drugs at the young age of 12, leaving school at the age of 16. He entered rehabilitation for his substance abuse at the age of 19 upon the insistence of his family and friends. This side of Cory’s life was more or less hidden and came out only in 2011 when he spoke about his childhood troubles in a magazine interview. A strong detractor of drug use, Cory often cited his example to speak out against drug usage. In March 2013, he sought addiction treatment and completed the rehab stint in about a month. Upon intervention staged by his Glee co-stars and Paramount Studios, Cory decided to clean up his act to shoot the following season of the hit show. Post-rehab since April 2013, Cory was believed to be clean from all drugs. His friends and close acquaintances spoke out about his healthier life choices and believed him to be happier and more outgoing in the months leading up to his death. This is why Cory’s sudden passing came as such a shock to his loved ones and fans. On July 13, he was found dead in a hotel room in Fairmont Pacific Rim in Vancouver by the hotel staff. When he failed to check out on the last day of his stay, his body was discovered and upon initial investigation, no cause of death was clear. The Vancouver Police Department ruled out foul play and an autopsy was scheduled on July 15. The preliminary report suggested that the cause of death originated from a deadly mixture of toxins created by alcohol and heroin, pointing to accidental fatal overdose. The final report was released in October and confirmed the findings of the initial analysis, claiming that Monteith’s system also contained morphine and codeine at the time of death. It was also revealed that he was found with 2 champagne bottles and several drug paraphernalia in his hotel room including a hypodermic needle and a spoon with residue. The coroner’s report also suggested that Monteith experienced intermittent durations of abuse and abstinence throughout his life. Owing to this intermittent period of abstinence, the toxic mixture of alcohol, heroin and other opioids could have lead to a fatal overdose. At the time, Cory Monteith was in a serious relationship with Glee costar Lea Michele who was then filming at a different location. He was cremated on July 17th in Vancouver in a private gathering of family and Michele. Subsequently, the show faced a short hiatus where the death of Cory’s character Finn was included into the storyline. Several tributes have been dedicated to Cory in the past year with a special tribute episode on the show as well as the 65th Prime time Emmy Awards organized on September 22, 2013. Since a very young age, Lee Thompson Young expressed his desire to be an actor, securing his first acting role at the age of ten to portray Martin Luther King. His acting career took off in his late teens, when he landed a lead role in the Disney movie The Famous Jett Jackson. Also, he went on to perform guest roles in Friday Night Lights and The Guardian before being cast in a lead role in the police procedural drama Rizzoli & Isles. Despite his promise and talent as an actor, Lee Thompson Young met a sudden end when he was discovered dead in his apartment. Passing at the age of 29, Young was a budding master in many other aspects in addition to acting. He graduated from the University of Southern California with honors, and also enjoyed writing screenplays. His most notable screenplay work was a 2007 short film called Mano. In addition, he wrote a short role in the film and continued being feature in many hit TV series including Scrubs, Terminator: The Sarah Connor Chronicles, Lincoln Heights, Smallville, The Event, The Good Guys and CSI: NY. An impressive list of popular shows for such a young actor. Despite his growing career as an actor, Lee Thompson Young became victim of his bipolar disorder condition and took his own life by shooting himself in the head. 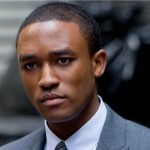 How Did Lee Thompson Young Die? Young did not show up at the filming of Rizzoli & Isles on August 19, 2013 and a well-being check was issued by the local police department at his Los Angeles apartment. He was found dead in his home and his manager issued a statement that the young actor committed suicide. After the police ruled out foul play, it was determined that the cause of death was a self-inflicted gunshot wound to his head. The autopsy detailed that he used a handgun and did not leave a suicide note. Young also maintained a regular diary but none of the entries in the book shed any light on the reason for his suicide. The autopsy report also revealed that Young suffered from bipolar disorder and was experiencing severe depression on the days leading up to his death. While he was taking medication for the condition, there are no accounts that added a new perspective to his death. On August 23, 2013, he was interred at Inglewood Park Cemetery after a three-hour funeral with hundreds of attendees. The attendees included family, friends, co-stars and other well-wishers. The event was held at Hollywood’s Paramount lot where Rizzoli & Isles is taped. Young’s good nature and acting talent did not go amiss as co-star Angie Harmon broke down to tears during her eulogy. The cast and crew of Rizzoli & Isles as well as the Disney channel issued statements mourning the loss of Young and recounting the deep bond they formed with the budding actor. The funeral also included practices from the West African religion ‘Ifa’ that Young followed. Dancers, dressed in white, performed at the event while his mother blessed the ground. The family also requested the attendees to make contributions to the Young Storytellers Foundation and raise awareness of arts and humanities for unprivileged children. Next on the list of recent celebrity deaths is Lisa Robin Kelley. She was bBest known for her role as the promiscuous and spiteful sister of Eric Forman in the hit series, That 70’s Show, as well as Amityville Dollhouse, Lisa Robin Kelly went through a number of highs and lows throughout her 20-year-career. At the young age of 43, Lisa died in her sleep after a long battle against drug abuse and alcoholism. Born in 1970 in Southington, Connecticut, Lisa made an appearance in several TV series like Married…with Children, Charmed, The X-Files, and Days of our Lives until she found a recurring role in That 70’s Show as Laurie Forman. For five seasons on the show, Lisa continued to act as a recurring cast member and was soon replaced by Christian Moore. It was later revealed that she left the show due to her alcohol issues. She confessed to have ‘run away’ after the successful stint as Laurie Forman. Her agent, Craig Wyckoff, reported that she was attempting to get her life back in order and checked into a rehab on August 12. However, her efforts to stay sober did not bear fruit as she received emergency medical attention due to excessive alcohol consumption. She was believed to be hospitalized a few days prior to her death with an alarmingly high blood alcohol level of 0.34. Many states consider .10 blood alcohol to be legally drunk. Her trysts with drugs and alcohol often led to legal trouble as Kelly was first arrested in 2010 for drunken driving in North Carolina. A few months later, she pleaded guilty in November that year and was sentenced to a year of unsupervised probation along with a fine. In March 2012, Lisa was again arrested on felony charges that involved causing injury to her boyfriend. She was later released on a bail of $50,000. The felony charges were filed by her former boyfriend John Michas, whose claims were later denied by Kelly in public. Trouble knocked on Kelly’s door again in November 2012 when both Lisa, aged 42, and her husband Robert Joseph Gilliam, aged 61, were arrested on charges of assault. They were both released later on bond. Most recently, Lisa was arrested in June 2013 for a suspected DUI. The arrest happened on June 23, when the police responded to a phone call about car blocking on a traffic lane. Lisa was then tested for alcohol consumption which she failed, leading to the arrest. Lisa Robin Kelly was found dead in her home and was believed to have passed on in her sleep on August 14, 2013. It was believed that she had checked herself into rehabilitation a few days prior to her death. After an initial diagnosis and post mortem, the LA Sheriffs Department ruled out foul play as the cause of death. On January 3, 2014, the coroner’s toxicology report suggested that the cause of death was multiple drug intoxication. Lisa was known to be alcohol dependent and had extensively consumed a wide array of drugs, possibly leading to her demise. Get the scoop on more celebrity drama. Check out more investigations related to Celebrity Deaths such as Marilyn Monroe, Paul Walker and Tupa Shakur.